Basho's gone, but you can make these Mini Mochi Cupcakes yourself! 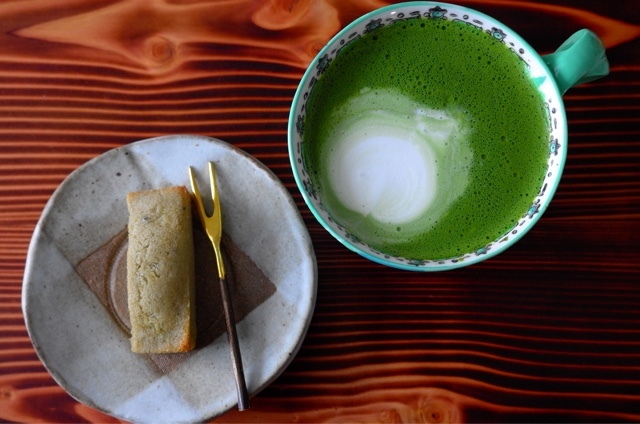 Do you miss this tiny Japanese cafe on E. Hastings street? Well, cry no more because you can easily make these mini gluten-free Japanese sweets. Just pull out your knitting needles, knit a cozy for your potted succulent plant and whip up some matcha tea to go along with your sweets. This mochi recipe is highly adaptable; you can add your own unique flavours. 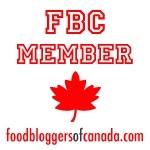 Stay tuned for more flavour possibilities! Preheat oven to 350Degrees F.
Spray 2 mini-muffin pans with non-stick spray. Combine flour, oil, milk, sugar and 3 eggs in a mixer and beat until well combined. DIVIDE the dough in half into separate bowls. Add matcha powder to one bowl and mix well. Add cocoa powder to the other bowl and mix well. Pour into prepared muffin tins. Bake for 15-20 minutes (mini-muffin pans) or 30-35 minutes (regular-muffin pans). I ended up with 3 trays of mini-muffins! The recipe makes a lot of mini-muffins. You can easily halve the recipe though. Check often while baking because muffin pans vary and thus so do the bake-times. Mochi muffins are done when they are just slightly golden brown around the edges. Test by inserting a toothpick. Remove muffins from pan after allowing to cool slightly. Set on a cooling rack to cool. 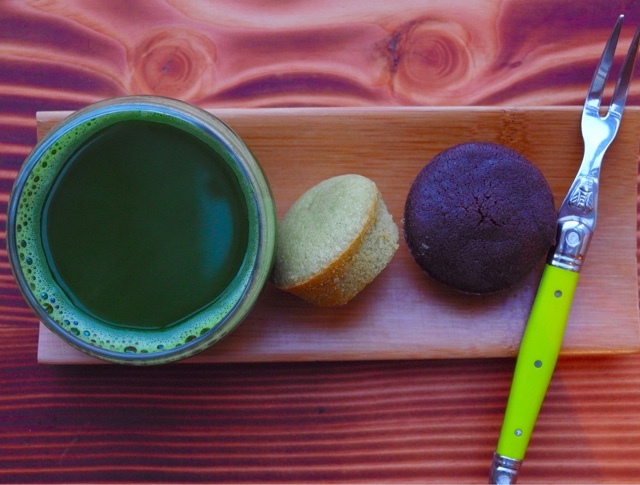 Invite your friends over who miss Basho for tea and mochi!